The world of science surrounding bioprinting is incredible. See how tissue engineering advances have reduced heart failure in model of heart attack. A 3D printer was recently used to grow heart tissue. A 1 micron resolution scaffold was made with the 3D printer to make this possible. The cells were able to organize themselves within the scaffold to create engineered heart tissue that actually beats. How incredible is that? Once surgery was performed to place the human derived heart muscle patch onto a mouse heart after a heart attack, it drastically improved the function of the heart and decreased the amount of dead heart tissue. Researchers have grown heart tissue by seeding a mix of human cells onto a 1-micron-resolution scaffold made with a 3-D printer. 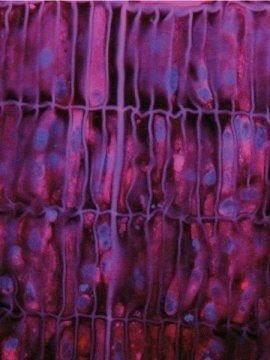 The cells organized themselves in the scaffold to create engineered heart tissue that beats synchronously in culture. When the human-derived heart muscle patch was surgically placed onto a mouse heart after a heart attack, it significantly improved heart function and decreased the amount of dead heart tissue. This is truly fascinating and something that is being done within the world of bioprinting. Read the article below to get more details regarding this.